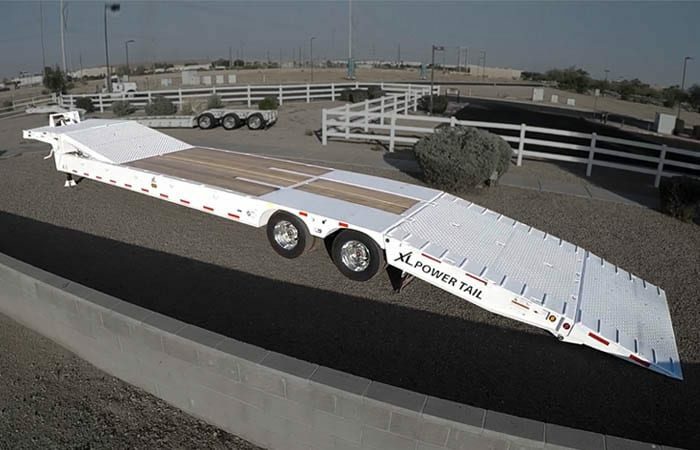 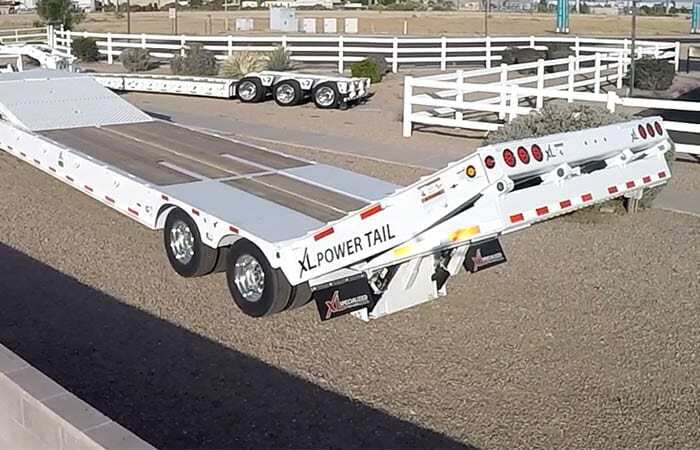 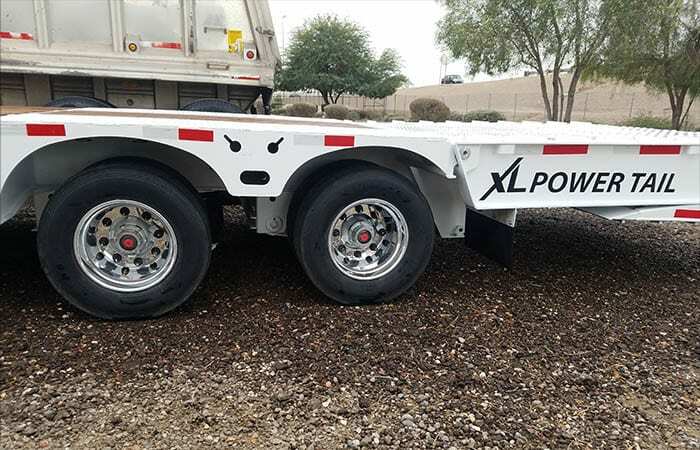 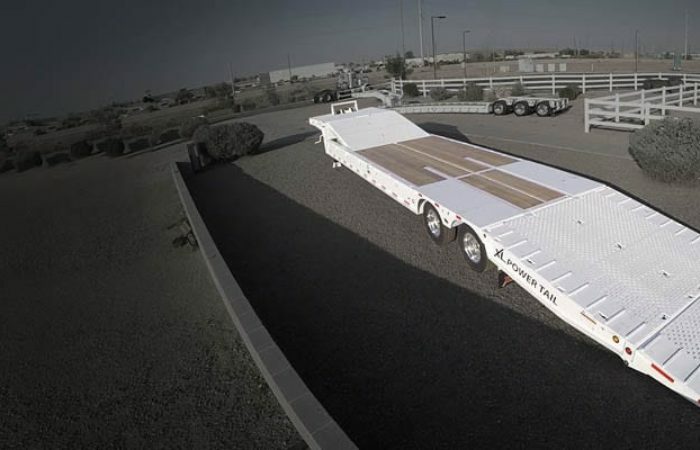 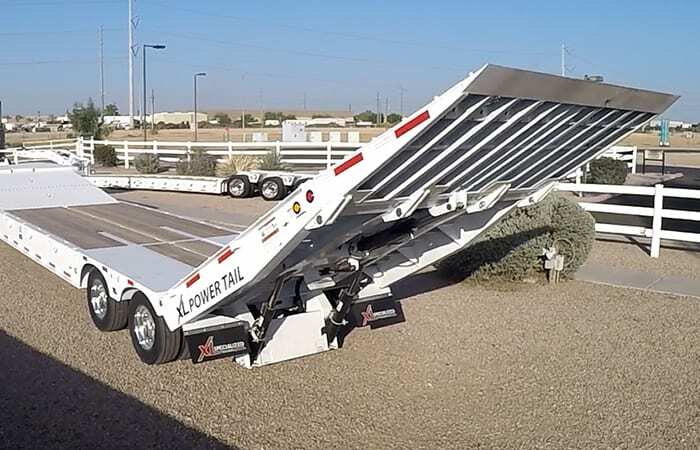 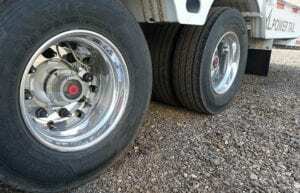 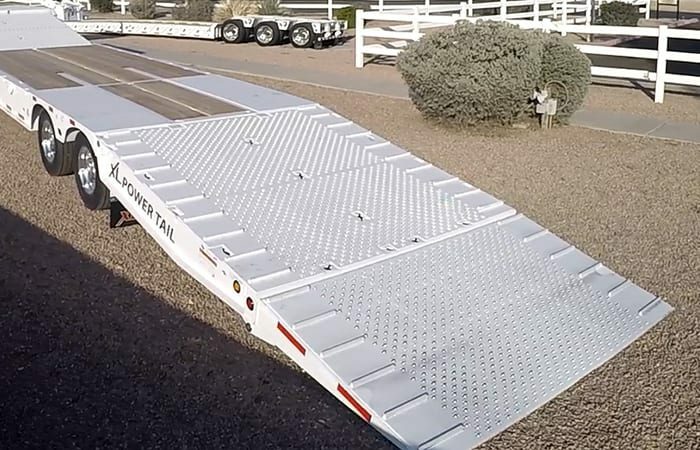 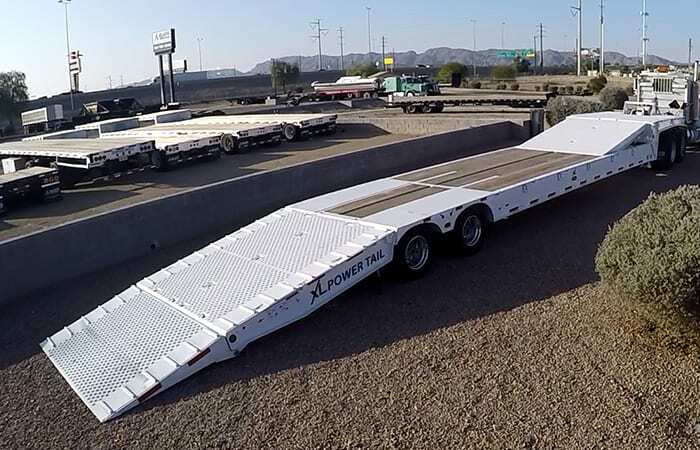 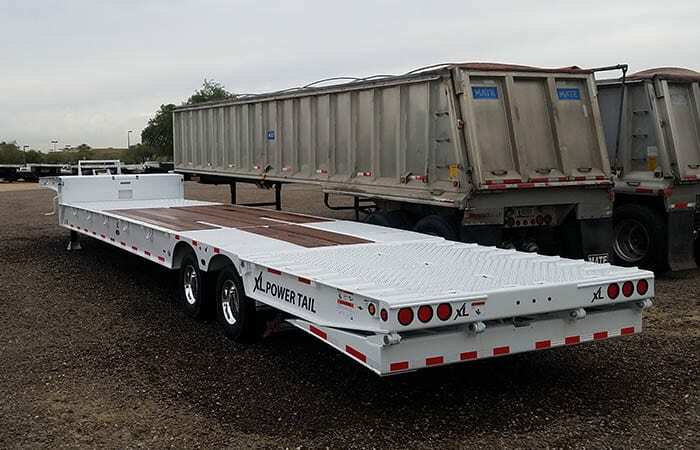 New XL Specialized Power Tail traveling tail trailer for sale at Midco Sales. This hydraulic tail trailer has an 80,000 pound capacity (concentrated 50,000 pounds in 10 feet). 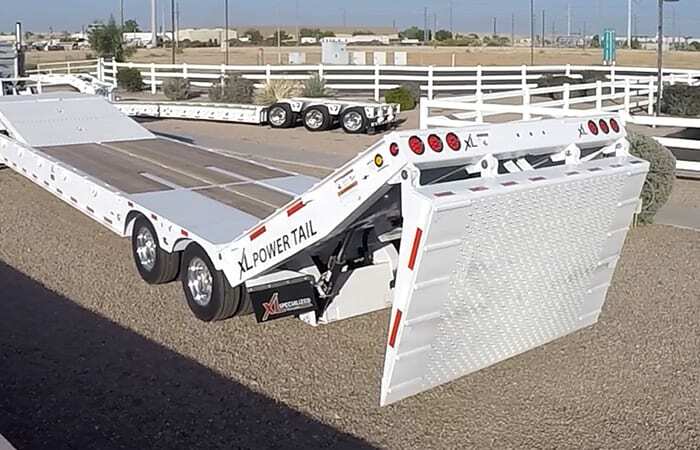 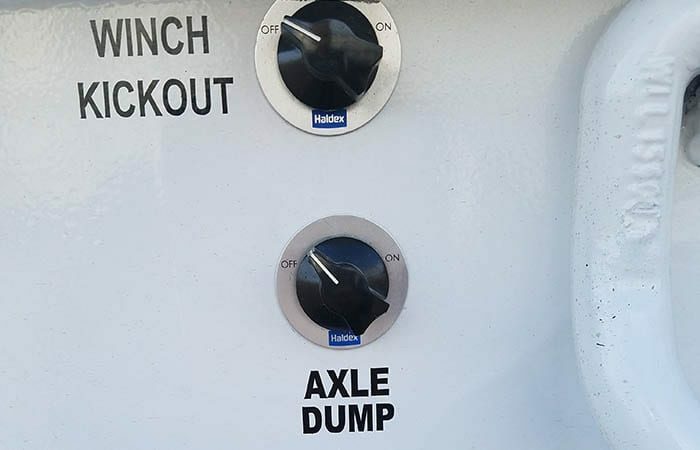 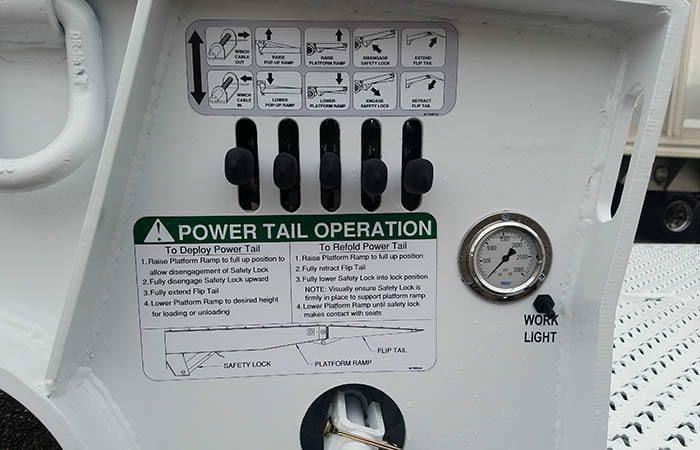 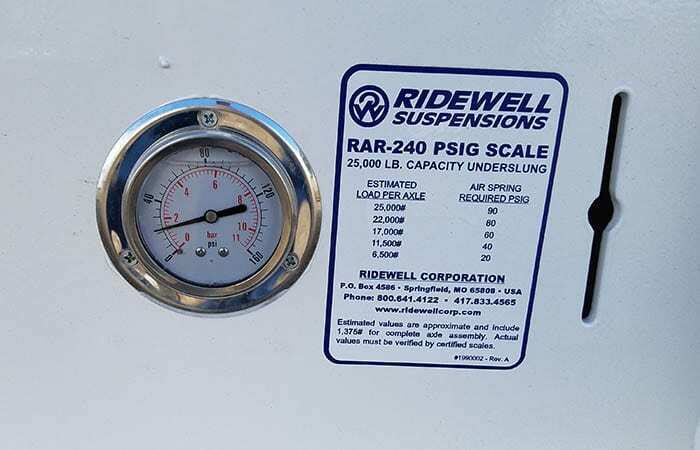 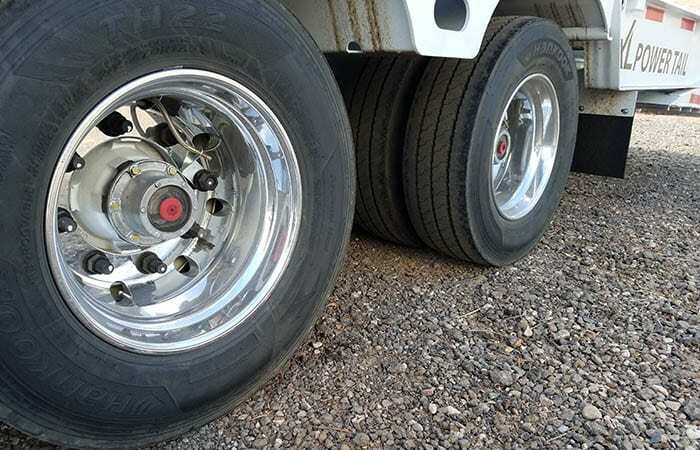 The hydraulic tail has a lifting capacity of 25,000 pounds and can easily handle normally hard-to-load equipment like forklifts and paving equipment. 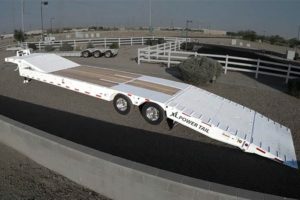 This trailers measures 48 feet long with a main deck just over 30 feet long. 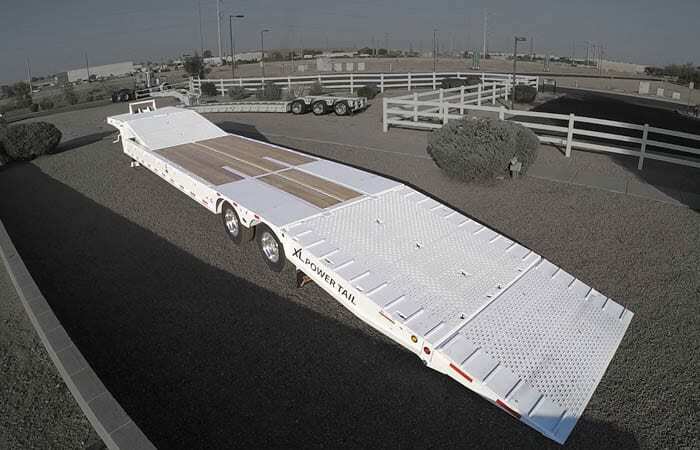 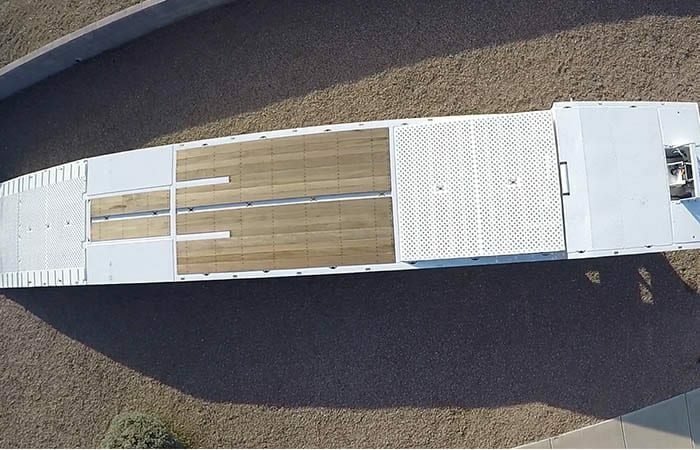 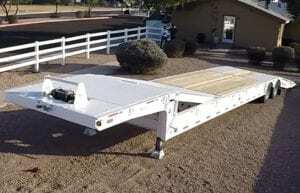 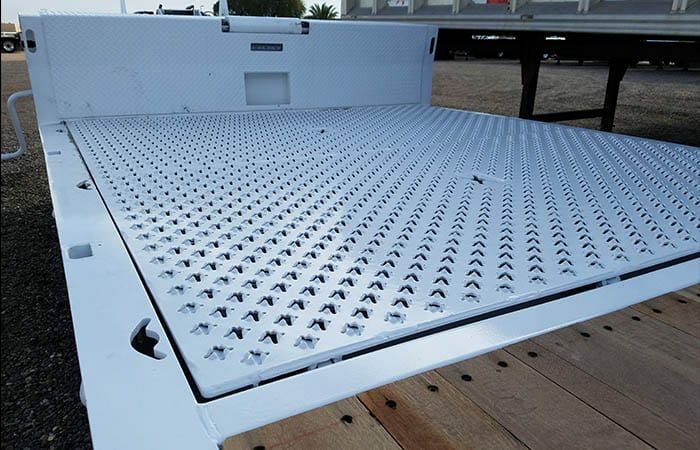 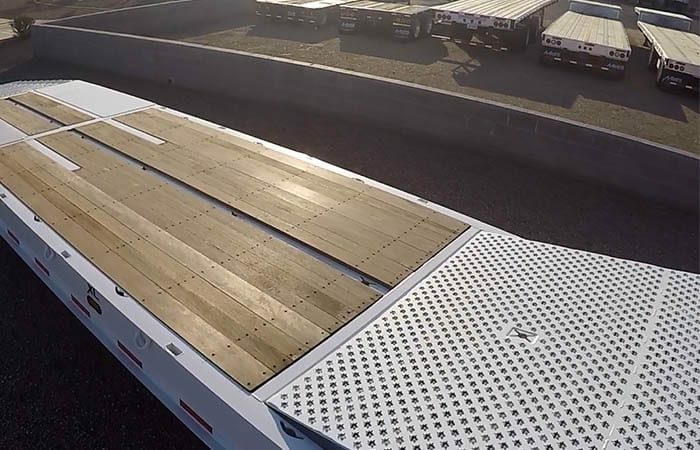 A nine foot pop-up deck ramp allows easy loading onto the gooseneck. 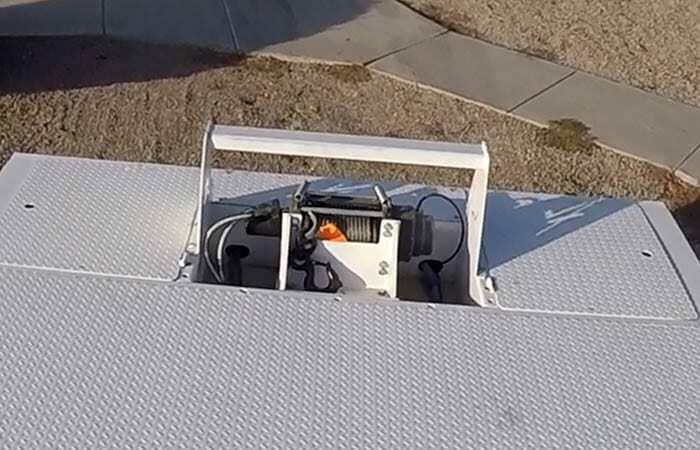 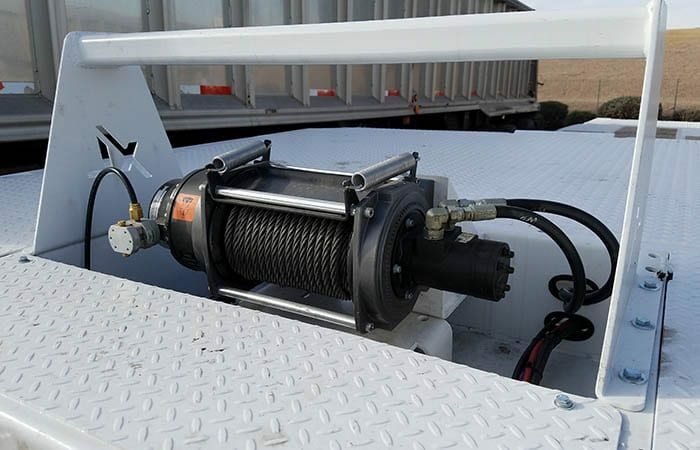 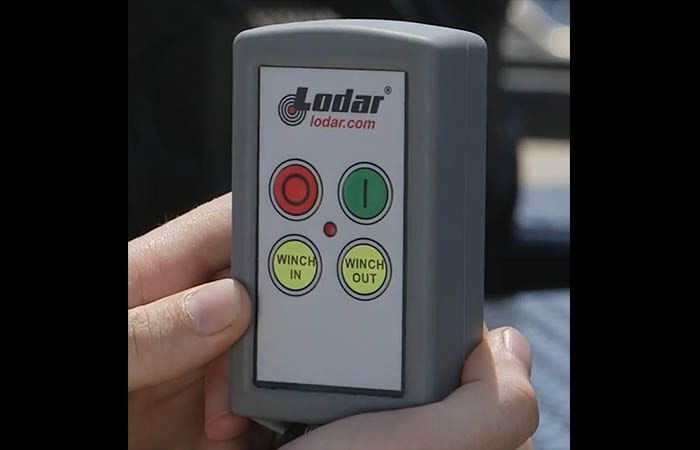 An 18,000 pound winch is installed at the front of the trailer and can be operated with the included remote control.